You may have heard of skin peels, face peels, or chemical peels before, and while ways of rejuvenating skin by forcing a cellular turnover is a concept that has been around for decades, the latest technologies and special procedures ensure your peel has maximum effect. Dr. Daniel Man, a board-certified plastic surgeon, has developed a revolutionary skin rejuvenation to restore a more youthful appearance and smooth complexion. What is DM|MD Facial Treatment? The DM|MD procedure blends the best of light, medium, and deep peels, and can be combined with dermabrasion techniques that completely rejuvenate your face, offering dramatic results that can last for many years. Dr. Man safely and effectively delivers this proprietary broad spectrum time release DM|MD method in just two treatments to give patients a fresher, younger look without surgery or injectables, and with no downtime. Is DM|MD Right for Me? As you age, your skin cells don’t heal and regenerate as quickly as they did when you were younger. Since the skin replacement time is prolonged, your skin gets thinner and can develop light, medium and deep wrinkles. 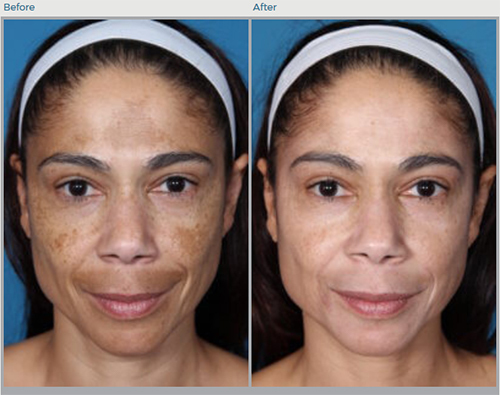 Sun exposure can also cause deep pigmentations, leaving your skin tone uneven and wrinkled. Before the DM|MD treatment begins, photos are taken so we can compare images before and after treatment. The facial skin is carefully cleaned with a gentle, thorough cleanser to ensure there is no surface oil or dirt left in the pores. Dr. Man’s special proprietary cream is then applied in a thin layer to cover the face, and allowed to dry. This takes approximately 15-30 minutes. The patient can return home immediately after this treatment and even resume normal activities with hardly any downtime, although the treatment must be left on for eight hours. At that point, it can carefully be washed off, and at-home treatment begins the next day. Patients are provided special prescriptions to prevent redness or rare cold sores, if necessary. This provides for uninterrupted, ongoing improvement of the skin condition without the excessive redness and flaking often associated with chemical peels. After two weeks, patients return to Dr. Man’s office for a second and final appointment. Again, once it is complete, they are given instructions for aftercare and more supplies to continue the at-home regimen. DM|MD provides approximately a 30 percent improvement with results that last for approximately six months. Most patients say that the process of the DM|MD social peel is easy and non-invasive and that the worst side effects they encounter with DM|MD are mild tingling, itching, tightness, or slight discomfort. 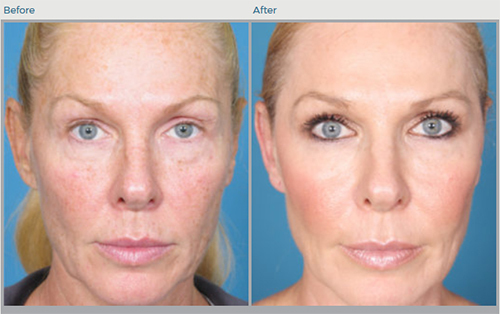 After the healing process is complete, you will look years younger and vibrant with healthy skin. The DM|MD treatment can be repeated once or twice a year to maintain your fresh, young look. You will be able to receive this peel on an out-patient basis, and care will be taken to provide you with at-home treatment between and after visits to keep you looking great throughout the process – enabling you to maintain your social life without embarrassment or self-consciousness. How Much Does DM|MD Cost? The cost of DM|MD treatments vary with each patient based on the number of treatments needed to achieve the desired look. Dr. Man reviews the costs involved in DM|MD during a consultation as well as the payment and financing options. DM|MD is not appropriate for all patients, or may need to be combined with a traditional facelift for optimal results. We recommend you schedule a consultation with Dr. Man so he can determine what facial treatment is best for you, and to create an individualized treatment plan to give you the appearance you desire. Daniel Man, M.D., a Florida board-certified plastic surgeon, offers DM|MD to people living in and around Boca Raton, FL to reduce the appearance of lines and wrinkles as well as other signs of aging to reveal a smoother complexion. Please contact us to set up your consultation today.